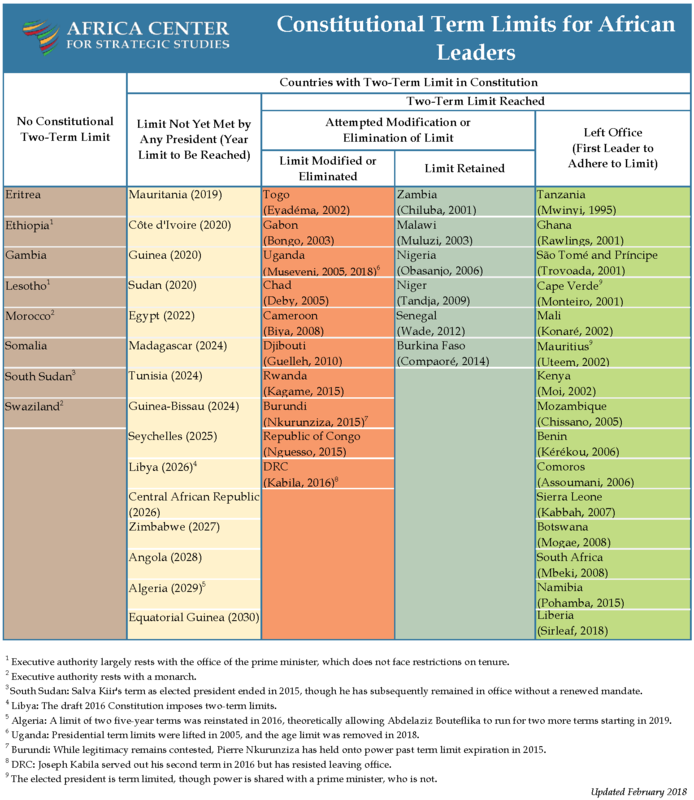 Of the 21 African countries that have upheld term limits, the executive officeholders have been in power for 4 years, on average. The average time in power for the 10 African leaders who have evaded term limits, in contrast, is 22 years. Countries lacking term limits tend to be more unstable. A third of these 18 countries are facing armed conflict. In contrast, just two of the 21 countries with term limits are in conflict. Strong regional variations in adherence to term limits are evident. The Horn of Africa has the highest concentration of countries without term limits. Southern and West Africa have made the greatest strides in adhering to term limits. While clearly fragile, term limit statutes are now in place for most of the countries in North Africa. Dorina Bekoe, “Africa’s Most Challenging Elections in 2018,” Spotlight, Africa Center for Strategic Studies, February 16, 2018. Paul Nantulya, “The Troubled Democratic Transitions of African Liberation Movements,” Spotlight, Africa Center for Strategic Studies, December 14, 2017. 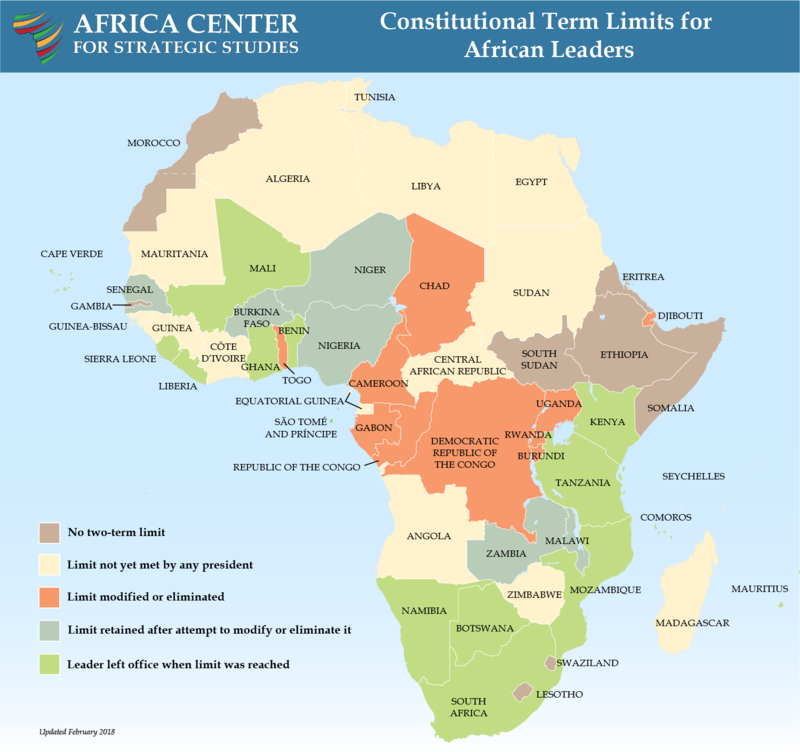 Joseph Siegle, “Why Term Limits Matter for Africa,”blog, Center for Security Studies, July 3, 2015. Africa Center for Strategic Studies, “Africa and the Arab Spring: A New Era of Democratic Explanations,” Africa Center Special Report No. 1, November 2011.